Our goal is to provide quality, ethical, chiropractic care in a caring, family-centered, and professional manner. 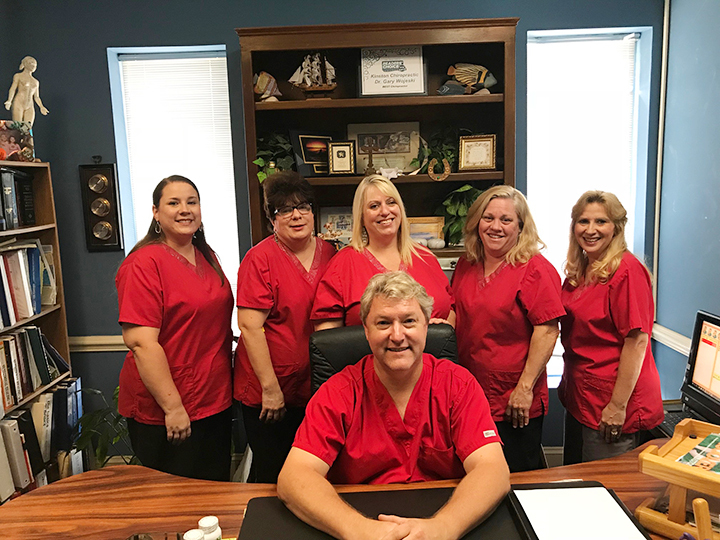 We strive to be a team committed to promoting your optimum health in a cost-effective, efficient, and friendly Christian atmosphere with help from God and our God-given gifts. The deepest penetrating therapy which can either be used like deep heat (increase circulation) or deep ice (flush out swelling and inflammation). We have found this therapy is excellent for treatment of tendinitis, bursitis, and sciatica. Temporary relief of minor muscle and joint pain, arthritis and muscle spasm, relieving stiffness, promoting relaxation of muscle tissue and to temporarily increase blood circulation where heat is indicated. Traction has many useful purposes such as relieving muscle spasms, dissipating edema (swelling), and stretching fibrotic tissue (scar tissue). A non-surgical, traction based treatment outcome for herniated or bulging discs in the neck and lower back. Chiropractic care meticulously tends to the needs of the athlete because special attention is given to the spine, joints, muscles, tendons, and nerves.